Set in Central Athens, the Eridanus Hotel is a short stroll from the Municipal Gallery of Athens and offers a swimming pool, a sauna and a fitness centre. It is located less than a 10-minute stroll from Kerameikos and the Temple of Hephaestus. The hotel offers a beauty centre, a steam bath and air conditioning. Also available on site are meeting rooms, massage services and free parking. For your convenience, the hotel offers a porter service on request. Rooms at the Eridanus Hotel are well-appointed and offer all the essential amenities including complimentary toiletries, cable / satellite channels and tea and coffee making facilities. 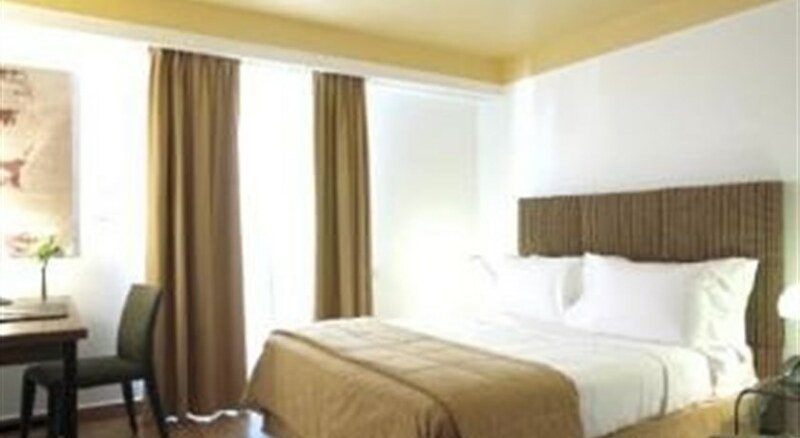 A TV, a radio and non-smoking rooms can be found in each room of the hotel. Rooms are also equipped with internet access. To ensure your day gets off to a good start, the hotel serves a buffet breakfast each morning. In the evening, guests are invited to relax in the hotel''s comfortable lounge bar. Room service is also available to guests at certain times. Local attractions close to the Eridanus Hotel include the National Observatory of Athens, Ancient Agora of Athens and the National Bank of Greece. The hotel is located within 10 minutes’ walk from Thiseio Metro Station. This fabulous apartment hotel was opened in 2004, is surrounded by wonderful gardens and comprises a total of 38 rooms spread over 5 floors as well as one apartment. Facilities include a foyer with a 24-hour reception desk, safes, a TV room and a lift in addition to a conference room with Internet access, which makes this the ideal stopover point for business travellers. A cosy bar and a restaurant offering some excellent cuisine are open to guests and it is possible to take advantage of the room, laundry and medical services. There is a car park for those arriving by car.